Nine years ago, we purchased 40 acres of land, which the sanctuary sits on, for $40,000. We are so excited and happy to announce to you that in the next few weeks the land will be paid off thanks to the generosity of two very kind and generous ladies. We currently owed $6,500 and these wonderful ladies have decided to pay that off for us. 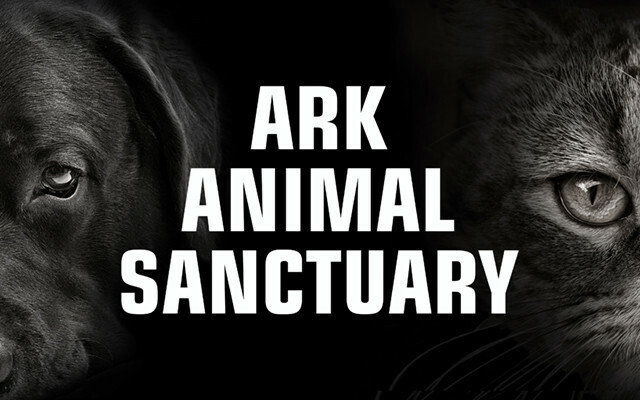 Since the start of The Ark nine years ago, we have experienced an unspeakable tragedy, our dreams wiped out in a matter of hours with a terrible fire and the loss of our beloved 16 cats. That tragedy tested our commitment and our faith, but we never faltered in our commitment and pushed forward in the memory of those 16 cats that lost their lives. We became even more committed and determined to make our dreams a reality. Today, we stand before you stronger and even more committed to continue on. The work we have accomplished would not be possible without you the public and all of our wonderful volunteers. You have supported us and believed in us and we hope we have made you proud. Your generosity and love for the animals are second to none and we are so very fortunate to have you on our side. Our volunteers are the best and I mean that in every sense of the word. They work tirelessly and give their time freely. They all share a common bond — their love of animals and a belief that every animal deserves a chance in life. Though volunteers have come and gone, they have all made a difference and they have no idea how much they are appreciated. Having our mortgage paid off will allow us to move forward with the next phase for The Ark. So stay tuned for more new and exciting things to happen for us in the near future. We are excited to start this new chapter and while it is still in the beginning stages we will keep you updated. Onward and upward, there is no stopping us now. Thank you everyone for your support and generosity without you none of this would be possible. Thank you for your continued support and as always, thank you for reading our column.